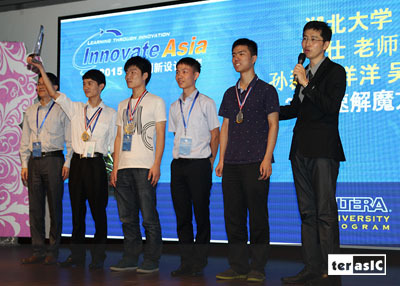 After two days (7/11~7/12) of intensive competition at Wuhan, China, the 2015 InnovateAsia has successfully come to an end. 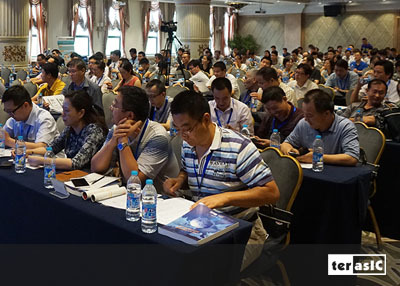 We have received over 500 registrations from teams in both Mainland China and Taiwan this year. 16 teams have persevered from the quarter finals, semifinals to the final competition and they have successfully demonstrated their outstanding projects in front of 200 panel judges which is composed of experts and industrial professionals. 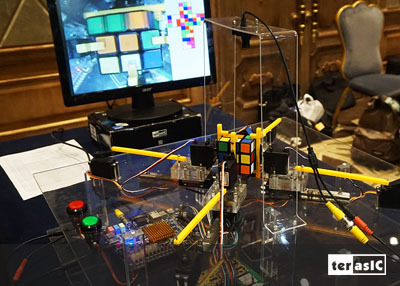 What we have witnessed from the top 16 finalist teams is not only the unbelievable technical competence but also the Do-It-Yourself maker spirit. It is the consensus among Altera, Terasic, and judges from many fields that the demo projects from the 16 finalist teams are all evenly matched and it has been rather challenging for judges to make the final decision. Therefore, we have added a third runner-up prize in the Multimedia Video and Audio Processing Category to encourage these bright students who have so much passion toward technology innovation. 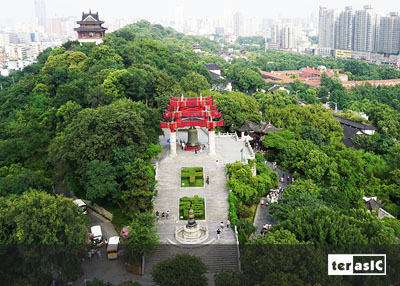 The organizer also coordinates a sumptuous dinner banquet and a half-a-day excursion at Wuhan. 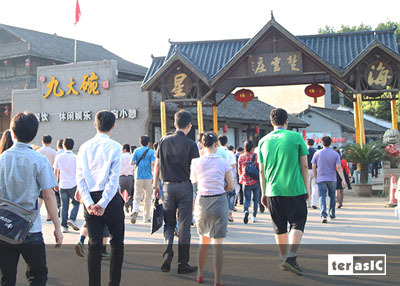 The participating teams from both Mainland China and Taiwan have made friends with each other and acquired the most valuable experience in life. 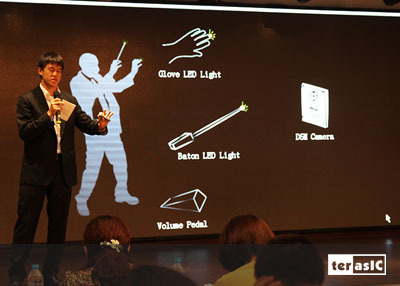 Many professors have requested that we share the demo projects and presentation slides of these finalist teams. They wish to share these outstanding works with their students. 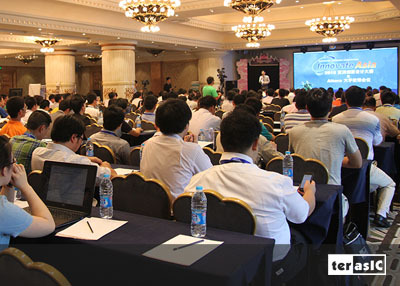 The organizer will construct a dedicated website with many useful and interesting resources provided.